Yotaphone, the Russian dual-screen smartphone, is revising its pricing strategy for the Chinese market and relocating its production facilities from Singapore to China. 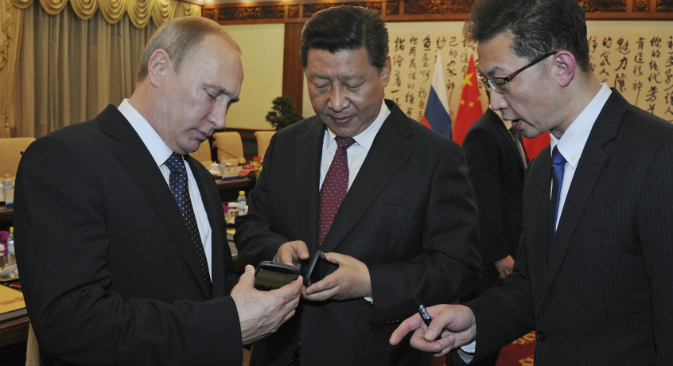 When Vladimir Putin met Xi Jinping for a high profile meeting in November 2014, the Russian president handed the Chinese leader a Yotaphone 2 as a gift. The device is Russia’s bid to stake a claim on the global smartphone market, and comes with a novel twist: two screens. One side is a regular smartphone screen, while the reverse boasts black-and-white display similar to that of an e-reader, which is always on and can display incoming texts or emails. “There will be,” Putin replied. Now, the Russian company responsible for the gadget, Yota Devices, is doing its part to make good on Putin’s promise. Indeed, after a rocky debut for its original model of the Russian smartphone, the company is hoping to tap Chinese consumers to give the device a lift through a revamp of its strategy. This September, Yota Devices announced that it would relocate its manufacturing operations from Singapore to China and team up with ZTE, the second-biggest manufacturer of telecom equipment and mobile phones in China. The company expects that the relocation of production will allow it to cut the cost of Yotaphone by more than 30 percent. “We have managed to come to an agreement with the new manufacturer about the level of production costs for the phones comparable with our competitors, which is a key factor in arriving at the ultimate price for the consumer,” a Yota Devices spokesperson told RBTH. Prior to the change, the phone has been selling for $600. Cutting the price can be seen as part of the company’s long-term plans: Yota Devices had already said it was seeking to lower the price below $450. However, the firm had been unable to reach the relevant agreement with the previous manufacturer, the Singaporean plant Hi-P, the company explained. Under the new deal, ZTE will assist with developing a prototype device, and then begin mass production and distribution. “After the phone was presented to the country’s leader, Xi Jinping, Chinese distributors of portable electronic devices began to show a lively interest in Yotaphone,” says Vitaly Polekhin, co-owner and managing partner of the Venture Angels investment fund, a member of the board of QUMO, a manufacturer of portable digital devices. The latest reports about the relocation of production and Yotaphone’s cooperation with ZTE indicate that the issue of cutting the cost of production is a priority, he said. “Of course, ZTE is not Foxconn, where production volumes start at 1 million items, but still, it will be able to ensure the necessary production rate and low costs while retaining a decent quality, which, by all means, will boost sales both in Russia and China,” Polekhin said. According to IDC figures, in 2014 the leaders in the Chinese market were Xiaomi (13.7 percent), Apple (12.3 percent), Huawei (11 percent), Lenovo (9.5 percent), and Samsung (7.9 percent). Given how competitive this market is, Yotaphone can perhaps expect to gain only a small share of it. The kicker, though is that a small share Chinese mobile phone market accounts for 980 million mobile users with total annual value around 425 billion yuan ($66.7 billion). “To get a small piece of that huge pie will be a big success for the Russian company,” says Oleg Remyga, head of China Studies Lab in Moscow School of ManagementSkolkovo. But Yota Devices will need to spend money to make money, experts warned. “To reach a serious level of sales, considerable investment is required,” points out Polekhin, noting that the leader in China’s smartphone market, Xiaomi, invests enormous sums in development to maintain its position. “For example, in December 2014, having evaluated itself at $45 billion, Xiaomi carried out an investment round, raising $1.1 billion and are now raising even more,” Polekhin said. Yet the task of promoting Yotaphone in China has already received a considerable boost from free political publicity, said Vladimir Korovkin, head of Innovations and Digital Research Lab in Moscow School of Management Skolkovo. “Chinese customers like to be part of some ‘big’ process. In that sense Yotaphone started going to China with a very good PR move - when President Vladimir Putin presented Yotaphone to the President Xi Jinping during the APEC summit,” Korovkin said. Chinese customers admire both Putin and Xi that is why having a “presidential” mobile phone will surely stimulate sales, he said. Recently, Yotaphone has been positioning itself as a competitor to iPhone, however, experts are not convinced if this is the right choice of niche for the Russian smartphone. “We doubt that Yotaphone will be highly competitive in luxury segment but after lowering prices it can find niche market in middle level market,” says Oleg Remyga. Moreover Yotaphone will surely be copied (especially the idea of the second screen) by Chinese companies at a lower price. Last year Yotaphone 2 sales started in Russia and 20 other countries, in Europe, the Middle East and Asia. Yota Devices also intended to enter the North American market, to which end a crowdfunding platform company, Indiegogo, was set up. However, it had to postpone the launch indefinitely because of delays in the production and delivery of YotaPhone 2 versions for the North American market, the company said. “In that way Yotaphone should be ready to develop innovations permanently to be one step ahead of domestic competitors. Otherwise it, unfortunately, will fail in China,” he adds. On the other hand, Yotaphone has some breakthrough product features, first of all, the double display. “On the ‘inside’ side, they push on the great e-book reading experience, which looks a bit like secondary feature at the moment,” says Vladimir Korovkin. “The big question for Yota is whether it has clearly defined its market niche or is planning to in the future,” adds Remyga. He says Chinese consumers do not know Yotaphone and would be hard pressed to buy the Russian smartphone, which almost costs as much as the iPhone 6.